Calling all coconut lovers! This is a sweet and beautiful twist on the original pancake. It tastes just as good as it smells! 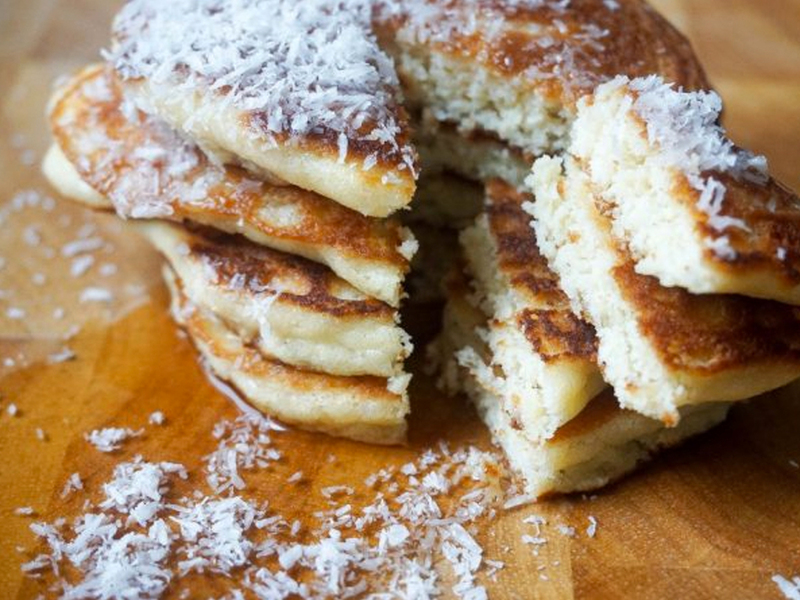 You’ll love these amazing coconut pancakes! In a medium bowl, mix together coconut oil and honey. Whisk in eggs one at a time. Add the almond milk, vanilla extract and lemon zest. Fold in flour mixture until all combined. DO NOT over mix. Grease frying pan (can use coconut oil) and cook pancakes!